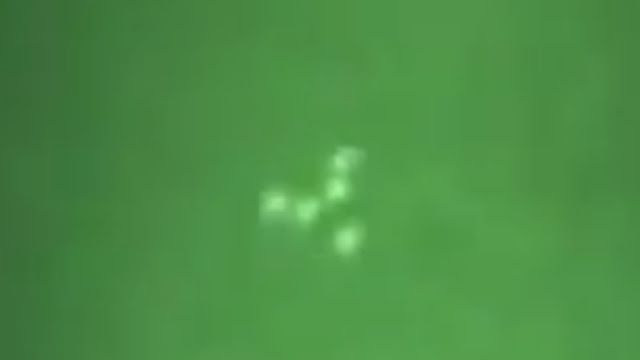 What is this guys, it looks exactly like a TR3B but it's not one of them because it's lights are seemingly drifting away from each other and absolutely behaving extremely weird. It's acting like a "shape changing aerial vehicle" but I've never seen anything like this before have you? TR3B's lights are fixed aren't they at each corner and in the middle? The one's I've seen are like that, but there could be any number of shapes I suppose. It looks like the TR3B but yet it's expanding and it's lights are one white and two pinkish or red lights all three are the same size? It has got equal lengths between the lights at all times (very odd) which is absolutely brilliant control of a craft in our atmosphere. 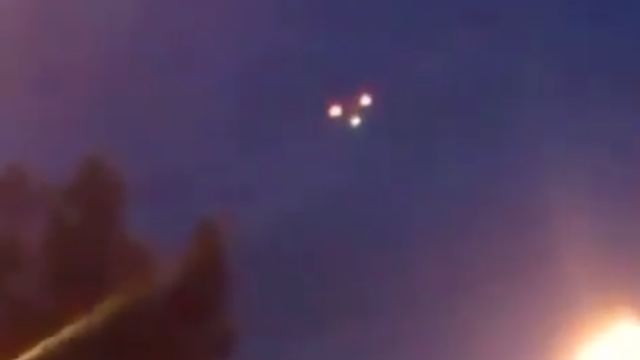 To be honest, this doesn't really fit the "hoaxers" capabilities with using multiple drones as usually it's a person with "a drone" and this is probably three separate UFOs working together like a swarm as opposed to three separate drones? It's a great video with lots of potential and it's probably been looked at by professionals and as and when we get the relevant research or researched results we will definitely update this post. 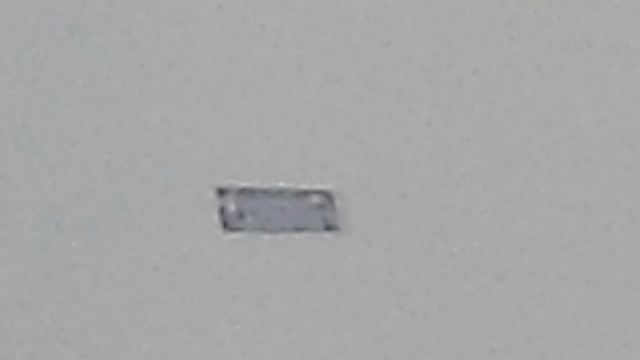 This post will explore the rare type of UFO which is square or rectangular in shape. It isn't often videoed so getting a video of this was amazing and is why when I came across this I had to post about it. 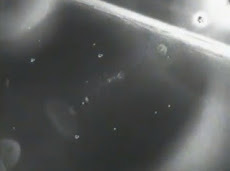 There will be people out there who haven't yet come across any square types of UFOs while looking in to Ufology. 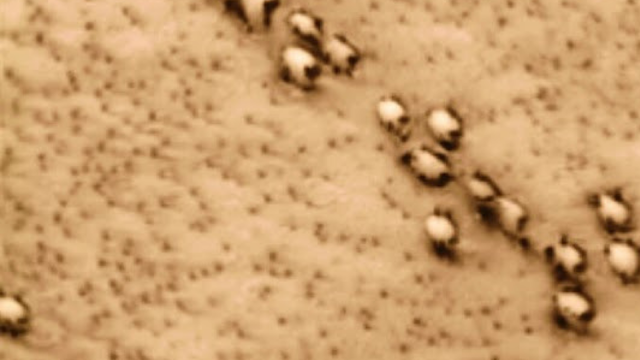 So I would like to introduce you to these absolutely stunning "Unidentified Flying Objects"... Enjoy. 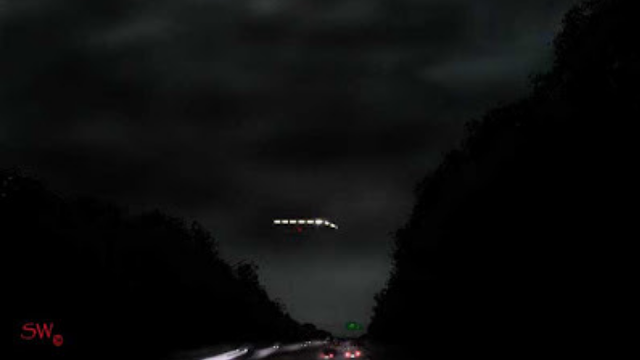 Javion Hill, 35, of Kings Mountain, North Carolina, says he took several photos of the object during a storm on the night of Aug. 18th 2018 as he drove on U.S. 74 southwest of Charlotte. The images feature something square hovering above the treeline, with its edges fringed in lights. Hill told the Charlotte Observer the craft frightened him to the point that he didn’t sleep that night. “I was on my way home with my wife on the speaker phone, and it looked like there was a tornado coming, so I was trying to take a picture of the clouds for my wife,” says Hill. I came across a great researcher going by the name of "phillipplaitklassss" and he's actually put together some official reports and unofficial published reports of square UFOs or rectangular UFOs reported by people to MUFON and self published UFO sightings to online sites like Facebook. He has (in my opinion done a fantastic job) researched these amazing and almost unique UFOs and I say "almost unique" because if it wasn't for this type of research then nobody would of put them together (also in my own opinion) and people would still be saying that they've just seen a "one off" UFO sighting! But now we know that there is a real lineage and a decades long "eye witness testimonies" to say that these are happening on a regular basis. 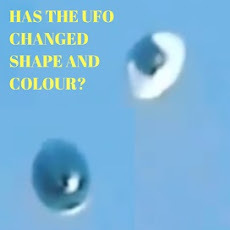 Compared to the regular UFO sightings these are rare, but if the UFO has only one light on then it's a Orb in the dark? Put two lights on then it's a cigar UFO and that is an etc etc type of UFO. Was with mother in law in my vehicle on S. Oxford Valley Rd going North to Fairless Hills. I remember reading about a sighting in Fairless Hills in the local newspaper a day or so earlier about a man seeing an object in the sky. The date i submitted is not approximate as I cannot remember even what month this was. 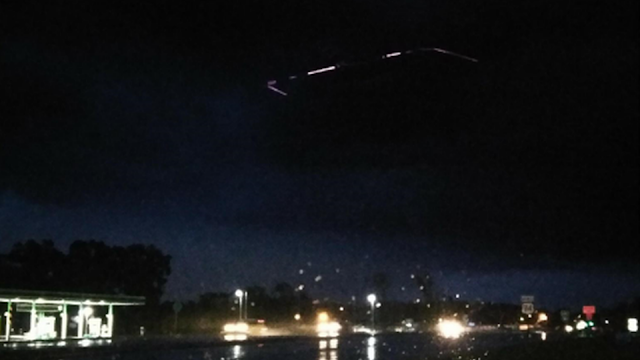 "I normally do not pay much attention to UFO sightings or even read about them. This may sound strange, but the prior day I was watching on the internet an experience that someone had with a UFO. I normally don't believe these stories, but this was coming from a prominent Christian, telling about an experience he had more than 40 years ago." "Today, I decided to buy a new book to read and purchased the book "Majestic", for no particular reason until I began to read what it was about, a story about the Roswell incident. I then came home and had this feeling to look out my window in my apartment, but saw nothing. 10 minutes later I had this feeling again to look out my window and I saw a rectangle shaped object that seemed as large as an 18 wheeler or bigger hovering at least a 1000 feet moving from right to left slowly for about 5 minutes, and then it began to move away at a faster pace until it disappeared in the horizon after about 2 minutes. I took pictures because it seemed very odd that something shaped like a rectangle was flying with nothing else near it." 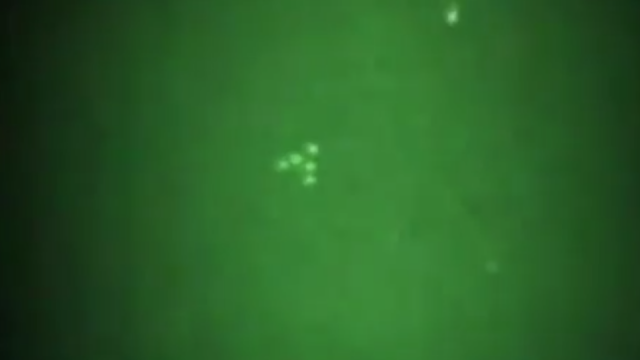 Here is an amazing video which was submitted to MUFON and there's actually 3 videos but we are only showing you one so that you can check out the link we've provided directly to the UFO Stalker website (Alternative to mufon) so that you can check out all three Square UFO videos for yourself. Source UFO Stalker Case #98202. Some archaeological excavations, digs or hunts are run of the mil types (really) but then there's the obviously eye catching stories in the media and very historically important - archaeological discoveries that catches the worlds attention. And this falls in to the latter by far. By chance or by *serendipity, guided by luck or by hard work this actually does fall in to the luck category because the archaeologists were actually "hunting for an ancient sacred well" and discovered something significantly more important to the world, by far! Untouched artifacts sat there for over one thousand years. 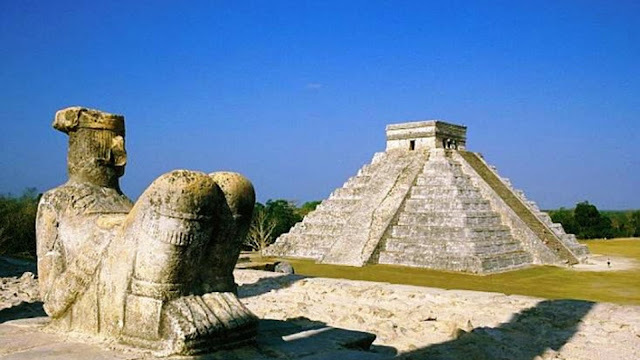 The ancient Maya people have always kept archaeologists and scientists busy since they were first researched. They keep on giving us excellent discoveries and mind blowing artifacts. In fact this is probably going to rewrite many books and many peoples views will change about ancient the Mayan religious significance? 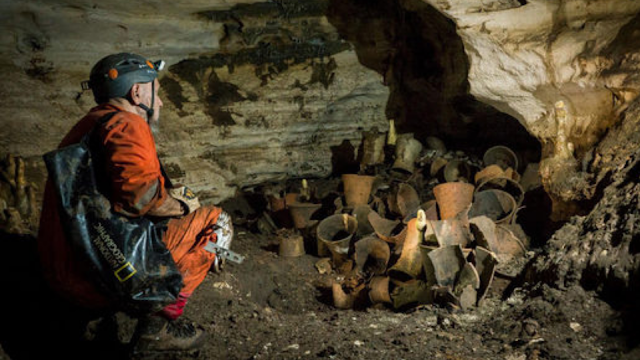 Exploration of Balamku (Cave of the Jaguar God) reveals ancient religious practices and may hold clues to the rise and fall of the Maya empire. Archaeologists hunting for a sacred well beneath the ancient Maya city of Chichén Itzá on Mexico’s Yucatán Peninsula have accidentally discovered a trove of more than 150 ritual objects untouched for more than a thousand years in a series of cave chambers that may hold clues to the rise and fall of the ancient Maya. The discovery of the cave system, known as Balamku or “Jaguar God,” was announced by Mexico’s National Institute of Anthropology and History (INAH) in a press conference held today in Mexico City. To access just the first of seven ritual offering chambers identified so far within Balamku, archaeologists must crawl flat on their stomachs through hundreds of feet of tortuously narrow passages. 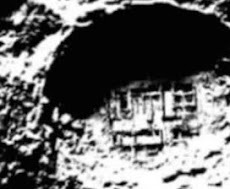 Ancient Puma Punku Technology To Build The Pyramids Didn't Exist But Yet They Are There - Link. 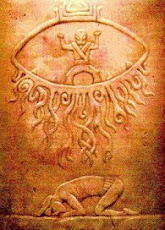 In the original report on the cave (recently located by archaeologist and GAM investigator James Brady of California State University, Los Angeles), Segovia identified 155 artifacts, some with faces of Toltec rain god Tláloc, and others with markings of the sacred ceiba tree, a potent representation of the Maya universe. In comparison, the nearby cave of Balankanché, a ritual site excavated in 1959, contains just 70 of these objects. 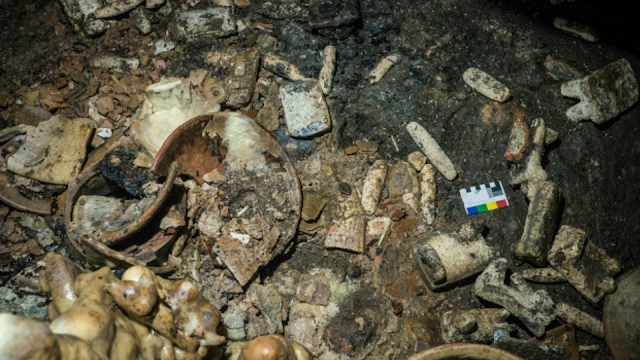 In the southern part of what is now Mexico City, archaeologists have discovered a 2,400-year-old grave-site with ten bodies entwined in a circle. 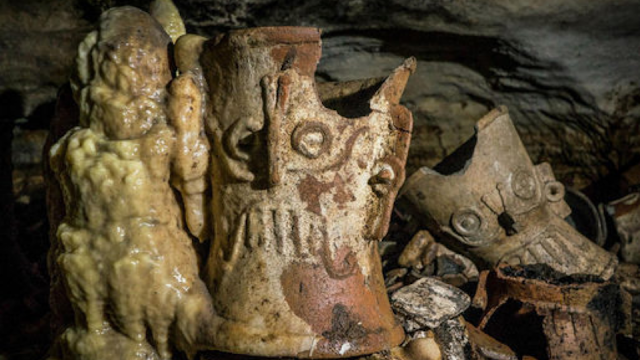 Southern Mexico is really throwing up excellent discoveries. Source National Institute of Anthropology and History (INAH). Serendipity means an unplanned, fortunate discovery. Serendipity is a common occurrence throughout the history of product invention and scientific discovery. And this Mayan discovery will help scientists in a beneficial way for years if not decades to come, so serendipity really does apply here. This is a spectacular video of an effortlessly flying triangle! 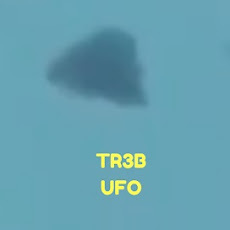 It's a UFO, it's a TR3B, it's an unofficial aircraft from the Air Force or it's a back engineered hybrid from a crashed UFO - oh yeah and it's an Alien spaceship? Seriously it's been claimed by many, many amateurs, professionals, engineers and scientists and everyone in between - but the one thing which you can't deny, is that it has a very, very exotic look to it. Yes, even Alien! Aurora was a rumored mid-1980's American reconnaissance aircraft. There is no substantial evidence that it was ever built or flown and it has been termed a myth. The U.S. government has consistently denied such an aircraft was ever built. 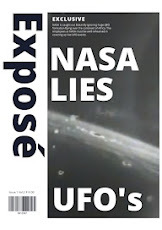 Aviation and space reference site Aerospaceweb.org concluded, "The evidence supporting the Aurora is circumstantial or pure conjecture, there is little reason to contradict the government's position. For real that is what it say's on the official Wikipedia page when it comes to this "Triangular Aircraft" and after I looked up the site Aerospaceweb, it starts off by saying that it's a non - profit site run by or operated by engineers and scientists in the aerospace field. "The evidence supporting the Aurora is circumstantial or pure conjecture, there is little reason to contradict the government's position." So, I guess this is a for "non disclosure" website - as opposed to a full disclosure of UFOs and Aliens, website right? Or is it just in this instance or in this case in particular - especially knowing what we now know about Triangular Aerial Vehicles! What we now know is that they did have a program of triangle shaped vehicles called with the code name Astra and that they (US Air Force) actually have been using them since 1989 "officially". 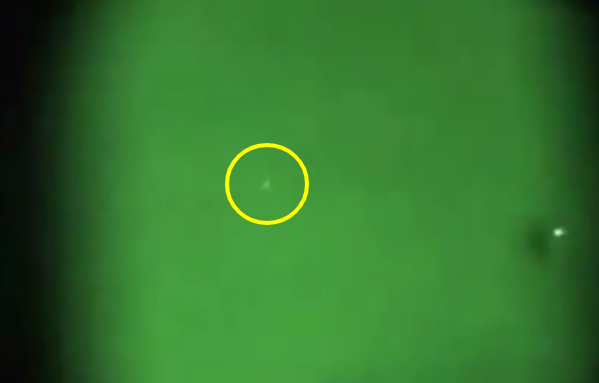 The image below shows just how far the night vision camera has to zoom in to see the craft. There's absolutely nothing wrong with going with your opinions and rational thinking. I totally respect the truth if it is the truth or should I say I respect facts and that I respect the submission of common sense, but I don't respect collusion, nefarious and ulterior motives when it comes to UFO and Alien disclosure including faked UFO sightings. By the late 1980's many aerospace industry observers (who?) believed that the U.S. had the technological capability to build a Mach 5 (hyper-sonic speed) replacement for the aging Lockheed SR-71 Blackbird. Detailed examinations of the U.S. defense budget claimed to have found money missing or channeled into black projects. By the mid-1990s reports surfaced of sightings of unidentified aircraft flying over California and the United Kingdom involving odd-shaped contrails, sonic booms, and related phenomena that suggested the US had developed such an aircraft. Nothing ever linked any of these observations to any program or aircraft type, but the name Aurora was often tagged on these as a way of explaining the observations. For me this is just a stunning aircraft, UFO or unknown Alien vehicle that is soaring through the night sky. It is so fast, it's moving effortlessly and it is probably just stunning to look at in daytime light? It has always fascinated me that this triangle shape "UFO" is flying secretly around the world and if the rumors are true about it's capabilities then it's mind blowing. Source Reference TR3B Hovering Over Saudi Arabia. 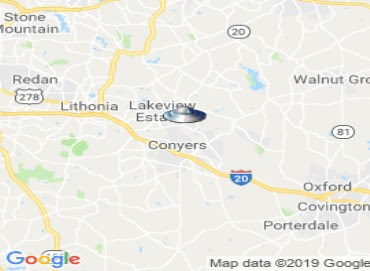 This is a UFO sighting of a UFO which seems to be deploying some other UFO or secret satellite, Orb of unknown plans i', going to call it. 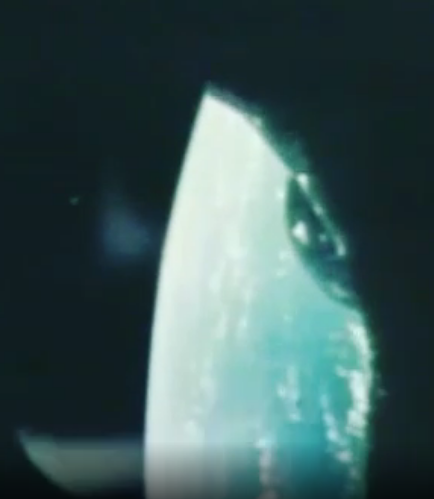 This is UFO footage of epic proportions - as it shows an original astronaut of the Gemini Project "capsule" deliberately hitting the thrusters to get away from a UFO. In my book this is stunning, historic and no matter what your thoughts are or what your opinions reflect, this is breathtaking because of the obvious anomaly! Unknown anomalies at the early beginnings are not so easily shrugged off as like they are now. This is my interpretation of what is going on. The object(s) in the video can't really be expelled debris from rockets or any other man made vehicles as it's just to big to be still considered an "unknown object" as it would be missed straight away. 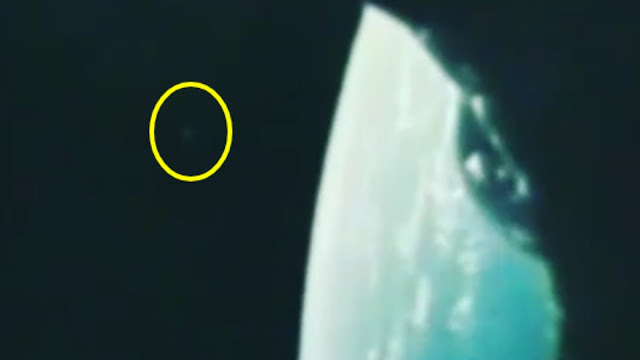 For that reason I don't believe it's from other space explorations because this video is from 1965 which as you might not know but there really wasn't that many blast offs which could of left this object? 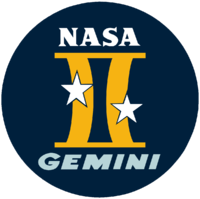 Plus it is moving and delivering objects in front of the Gemini capsule like a gift offering from Aliens to humans, is this first contact? It might be momentum which is moving it, it could be an expelled coffee cup it could be whatever you want it to be? 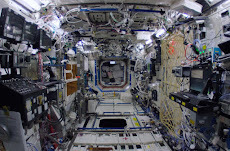 There's been other Pyramid shaped UFOs at the ISS also even when SpaceX was there recently (link at bottom of page). One thing I know it's not "normal". 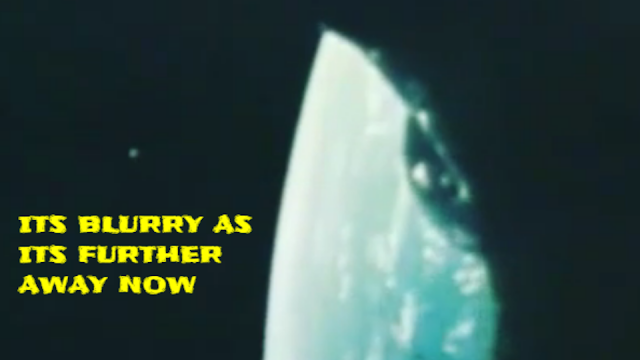 The UFO reappears and that's when the astronaut begins using the Capsules thrusters to get away from the UFO. 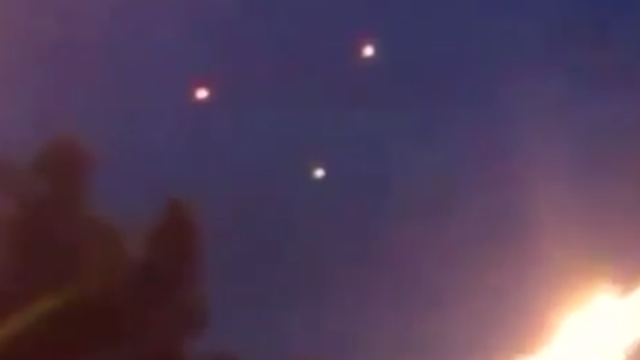 It's a weird UFO encounter but one that I believe. Because it's early astronaut related, space related and pre - drones plus pre - satellite's(near enough) and all that jazz I'm sticking it out there and saying that this really could be a UFO? I stress it because like I say it's "pre" most modernisation or modernity of hoaxes, fakes and that kind of rubbish which we are sadly seeing more and more of recently. It's not tainted with horrible CGI or otherwise prank related animations, that's why I have more faith in this UFO encounter. 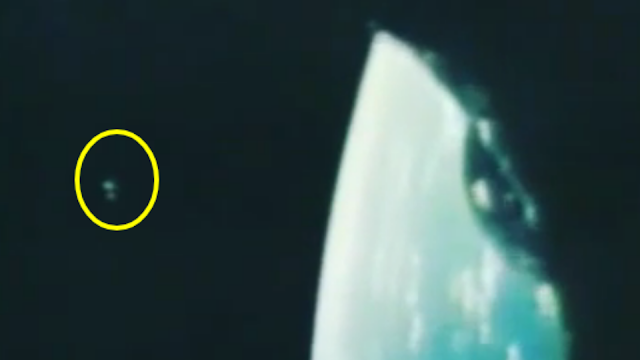 Source Reference ISS And SpaceX UFO. Source N.A.S.A. Space Kennedy Center.